Going to the doctor can be a hassle. Not only do you have to get there — which costs time as well as money for gas or public transportation — but once in the door, you often have to sit around in a waiting room exposed to people who could make you sick. Thankfully, technology today has evolved to the point that you might not even need to be in the same room with your physician to receive a consultation or treatment. The system is called telemedicine, and it involves using a webcam-enabled computer, smartphone or connected gadget to transfer information between you and your doctor. According to Jared Rhoads, a senior research specialist with CSC, an IT services and solutions company based in Falls Church, Va., the term telemedicine can be used to describe a wide variety of uses that fall into four general buckets. In telecare, modern technology allows caregivers to remotely monitor people with chronic issues. For example, someone with congestive heart failure could step on a Wi-Fi-enabled scale to automatically send daily weight measurements that could signal dangerous fluid retention or loss to a caregiver, who can take action if measurements are out of whack. Telecare can also benefit people in assisted living, such as those with dementia. Basic telemedicine, a type of telemedicine that's been going on for decades, uses videoconferencing or telephone calls to connect patients with one or more consulting physicians. It’s particularly helpful for people in rural settings who may not have physical access to specialists. Rhoads said an HD webcam isn’t usually necessary for video conferences. The notion of “quantified self” involves tracking metrics about yourself such as your heart rate, weight, what you eat, your activity and much more over time, often using some kind of gadget in conjunction with a smartphone app. For people with health issues, scads of Internet-connected devices exist that do things such as monitor blood glucose levels or blood pressure and store metrics in the cloud, where you can see levels on a timeline as well as easily share this information with a healthcare professional. Telecoaching is an interactive online patient education experience. Many healthcare diagnoses require diagnostic techniques such as MRI or X-imaging, so if whatever ails you involves giving a doctor a look into the inner tissues of your body, you’re going to have to physically take yourself to a medical facility. It's the same principle for blood work, bacterial cultures or stool samples — these are things most people can’t handle at home and not appropriate for sending to your physician via mail, if avoiding travel is your goal. The adoption of virtual visits with doctors via telemedicine isn’t mainstream yet, according to Dr. Joseph Kvedar, director of the Boston-based Center for Connected Health. Even so, talking to your doctor about telemedicine is a good first step, Kvedar suggested. “Let’s suppose you have high blood pressure, diabetes or one of those conditions, and you say ‘I really want to get more involved by monitoring my health; how can I interact with you, my physician, to monitor those data, record them and make them relevant to your decision-making?’" Kvedar said. "Many docs will engage with that." Some state regulations dictate that patients must meet a doctor in person before he or she can prescribe medication. “Only 13 states clearly allow doctors to establish a patient relationship —typically required to prescribe drugs — without at least an initial in-person visit, according to the Robert J. 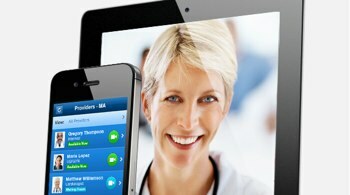 Waters Center for Telehealth & e-Health Law,” reports The Wall Street Journal. That said, in certain states, a few good online solutions can help as well. The NowClinic website connects sick people with doctors who will diagnose them via webcam, phone or chat. A 10-minute consultation costs $45 payable by credit or debit card and is available in Arizona, California, Connecticut, Illinois, Kansas, Kentucky, Maryland, Massachusetts, Minnesota, Missouri, Michigan, Nebraska, New Mexico, New York, North Dakota, Ohio, Pennsylvania, South Dakota, Utah, Wisconsin and Wyoming and for HPN/SHL commercial members in Nevada. Teladoc and American Well are similar options, with the latter also offering mobile apps as a way to interface with a doctor. Telemedicine is a burgeoning space that’s innovating at a rapid pace, and you’ll want to pay attention if getting a diagnosis from home sounds like a good idea to you. Rock Health, a San Francisco seed accelerator that funds digital health-related start-ups, surmises Apple is stealthily working on a health product. Clues include the fact that the iPhone is loaded with sensors, and CEO Tim Cook is on record as saying, “The whole sensor field is going to explode.” The company is hiring medical device experts, and the iPhone 5s uses the M7 coprocessor, which is designed to monitor physical activity. CellScope Otos is another system to watch for. 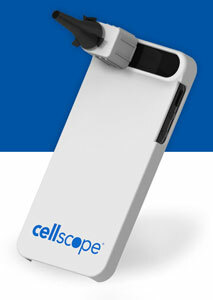 It’s an otoscope for the iPhone that collects high-quality images of the ear canal and eardrum to diagnose ear infections and track them over time. Currently in use by early adopter doctors, it will soon be sold to clinician users for around $200. A CellScope device for consumers to use at home — a boon for parents with young children — is planned for launch later this year. The idea is that home users could send images to their own doctors for diagnosis (or get connected to a different doctor if theirs doesn’t participate in Cellscope’s program). The company says it’s also working on software tools that would give users an immediate analysis of what’s going on in their ears. And designed to aid with the early detection of disease, uChek turns an iPhone or Android phone into an accurate urinanalyzer that can measure urine parameters such as glucose, protein, urobilinogen, calcium, blood, creatinine, pH, ketone and much more. At last check, the India-based company was working toward FDA approval. Stay tuned — these examples of telemedicine are just a tiny sample of what you can expect in the near future. Want to know what kinds of gadgets can help you now? Check out What’s New in Activity Trackers, SmartWatches and Other Wearable Tech.